More information on German Literature, Language, and Culture at Washington State University is available through the Department of Foreign Languages and Cultures German Section page. For links to online resources, reference books, and websites related to this topic, please click on the appropriate tab at the top of this page. Use SearchIt for an overview of available monographs (books), articles, Internet resources, and AV materials to inform your research. For research assistance, please contact Gabriella Reznowski. 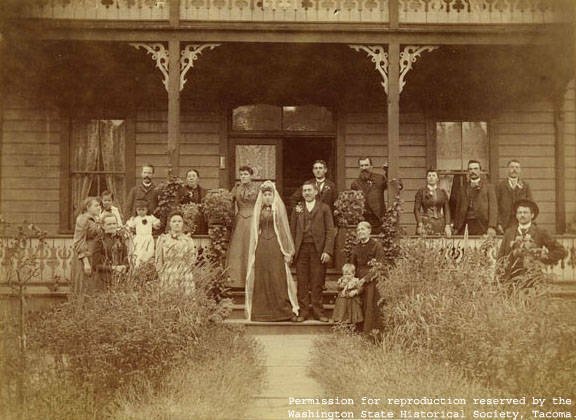 Photo credit: German wedding, September 15, 1892. Check out Contemporary World Music! Looking for some great music to listen to while working on that nerve-wracking term paper?! 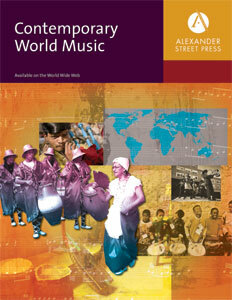 The WSU Libraries have a subscription to Contemporary World Music from Alexander Street Press. This is a fantastic resource offering a variety of selections from around the world, but there are also some great collections of music including Chinese Folk, Instrumental, Alternative, Vocalist and more! It's all here - from trip hop to hip hop, polka to yodelling, World Music to Ambient, Drum n' Bass, Flamenco, and yes, even Drinking Songs. You won't know what you are missing until you check it out!